SOLD $5250.00 Thank You Kenneth Janson, Pelkie Michigan. This bull is his Dam's 4th calf: actual birth-weight 68 pounds. His Dam's 2014 calf - 3rd calf: actual birth-weight 66 pounds. His Dam's 2013 calf - 2nd calf: actual birth-weight 52 pounds. His Dam's 2012 calf - 1st calf: actual birth-weight 46 pounds. His cow family's birthweight history. His Dam's birth-weight: 51 pounds. 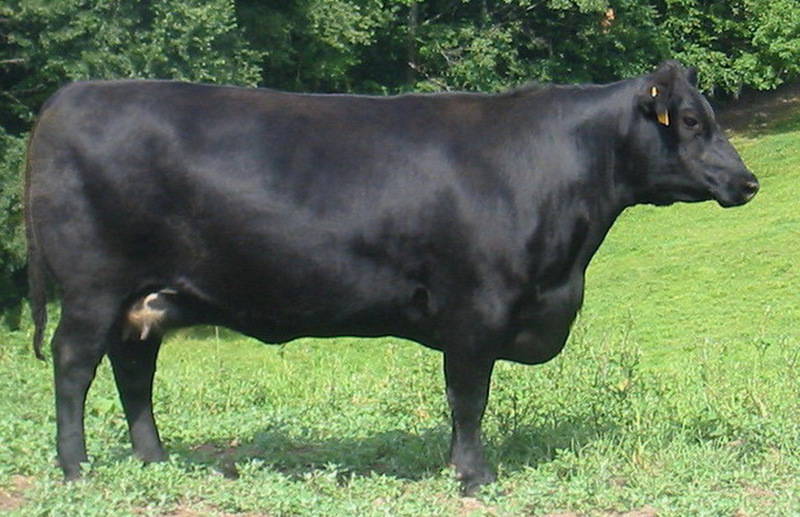 His Grand Dam's birth-weight: 53 pounds. Great Grand Dam's birth-weight: 62 pounds. Great Great Grand Dam's birth-weight: 71 pounds. 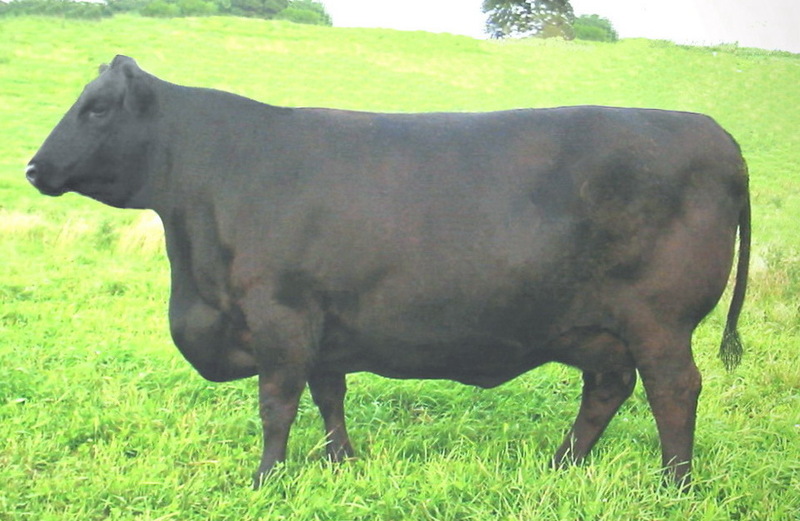 Average 369 Day Calving Interval (4 calves) - has always settled A.I. Looking at her calves Ratio's, you will notice that her light birth-weight calves go on to wean heavier than their herd-mates. This very desirable trait is possessed by this bull, his Dam, and his entire cow family. UPDATE: The Numbers are in: True to his birthright, this bull has earned a 103% Ratio in both Weaning & Yearling. * Pedigree shows nothing but elite A.I. Sires tracing back to 1995. 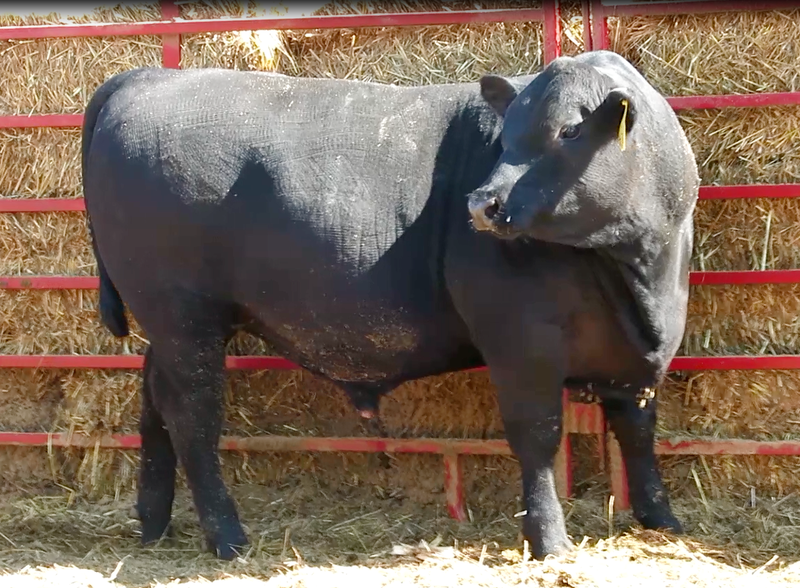 "This bull has been DNA Parentage Tested and 150K tested to provide High-Accuracy Genomically Enhanced EPD's"
Adjusted Weaning Weight: 751 pounds. Adjusted Yearling Weight: 1279 pounds. Use your "Back" arrow (top left on this page) to take you back to this bull. .. 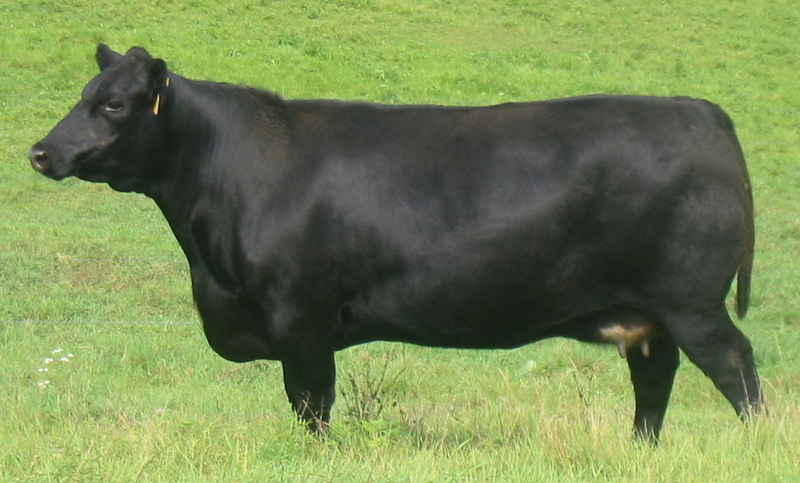 Ten X - The #1 sire in the Angus breed for registrations in 2015. Ten X offers proven calving ease, performance, carcass merit, $Values and an out-cross pedigree. 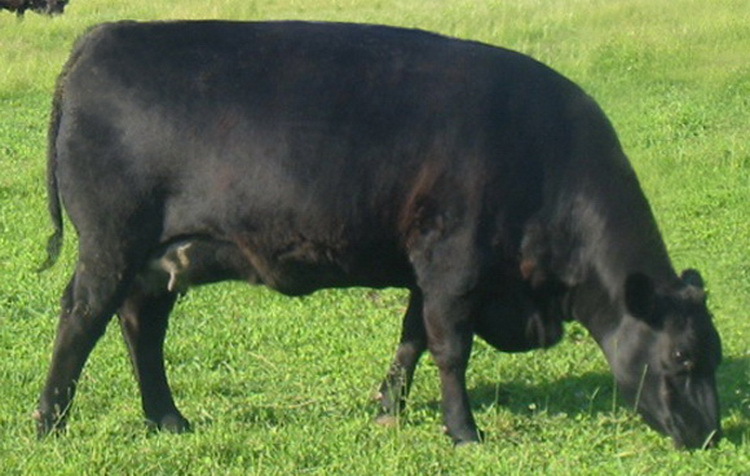 Ten X is one of the breed’s elite curve bending sires. 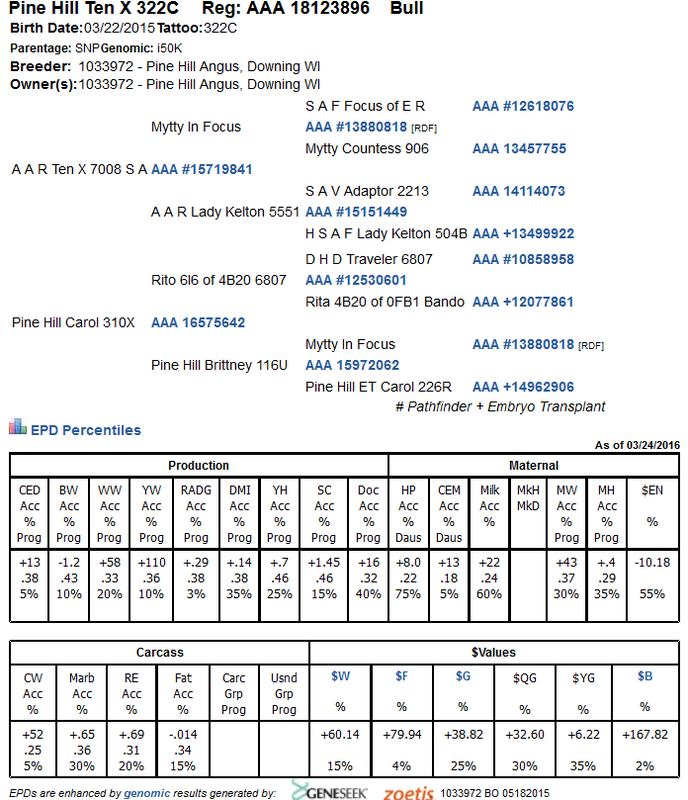 Pedigree was last up-dated March 26th 2016.